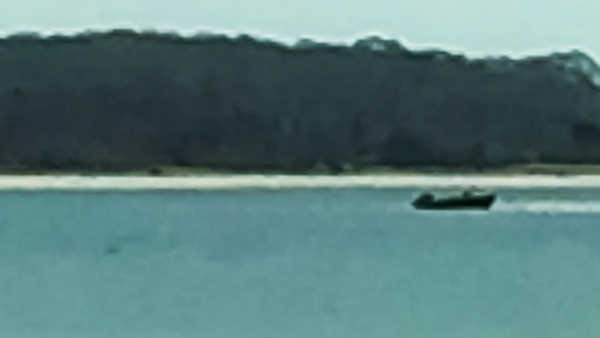 SOUTHOLD, Long Island -- Authorities say three people have been rescued after the boat they were on became stuck in a sandbar off the coast of Long Island. Newsday reports that Southold Town Police along with the Cutchogue and Mattituck fire departments responded to a distress call on Robins Island Sunday night. The nearly 450-acre private island is in the Great Peconic Bay. The boaters became stranded when the 20-foot center console boat ran aground on the sandbar around 8:30 p.m. Authorities say two people were hospitalized in Greenport for treatment of hypothermia. The third boater declined medical attention.